The rainy season is here! For us moms of young kids, that means a lot of school days will be cancelled because of heavy rain, floods, and typhoons. Of course, when excited little kids are stuck at home all day and you can't send them out to the garden or the playground to give you a little peace and quiet, you need to figure out what to do with the kids. Well, mamas, here's what I suggest for the kids to do! It's actually still a school day, even if classes got cancelled. So if they have a test coming up or I feel hindi pa nila gamay ang isang topic, we review review review! Yep. I'm not going to pretend I'm a perfect mom. I do it—I park my kids in front of the TV, turn on Netflix, and I chill. LOL. Ako talaga ang nag-chill. I love Netflix. It has 5 profiles, one each for every my member of my family. The boys can only their kiddie shows and movies, so I feel secure in letting them watch any show they want. Since I let them watch TV, you bet I let them watch movies, too, and watching movies is best enjoyed on a suddenly-there's-nothing-to-do day! There are a TON of movies on Netflix, mamas! The kids' favorites are from Disney (Pixar and Marvel), of course. So we're enjoying watching The Incredibles, Bolt, Lion King, Wreck-It Ralph, Brave, and Happy Feet. Sometimes the kids want to watch movies that are not for their age group. We allow it if we're watching with them. So we move over to the grown-up profiles of Mama and Papa and all the Avengers movies on Netflix, Jaws, Real Steel, and Pacific Rim are on repeat in our house. 4. Read a book. Make a book! We should read more books really. But when the school year starts, they put away the books because there's homework to do. How ironic! I really think homework should be illegal. So on nights there's no homework, we read a book. On days that classes are cancelled, we make books. 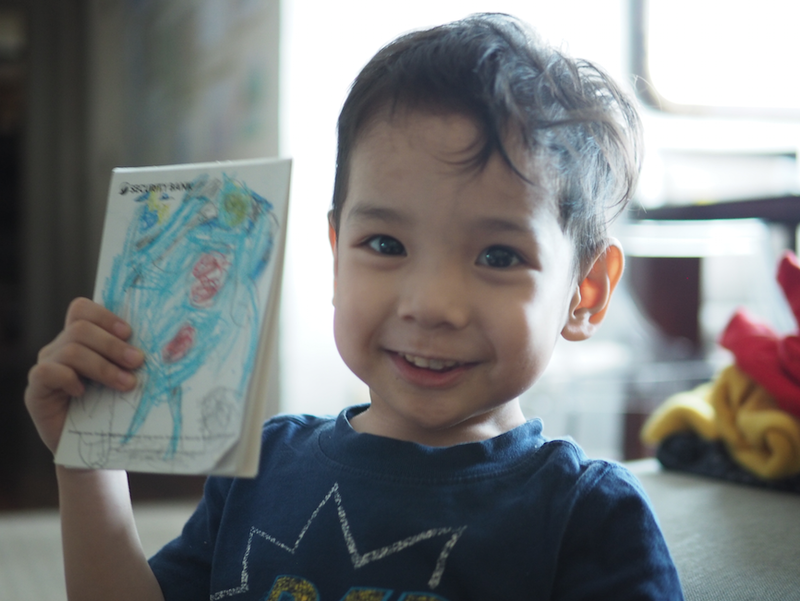 Here's Piero and his book on Pacific Rim jaegers battling alien kaiju monsters! School days mean no mobile devices. Sometimes, we do relax that rule when they have absolutely no homework, or they just finished a week of tests, or if classes are cancelled. 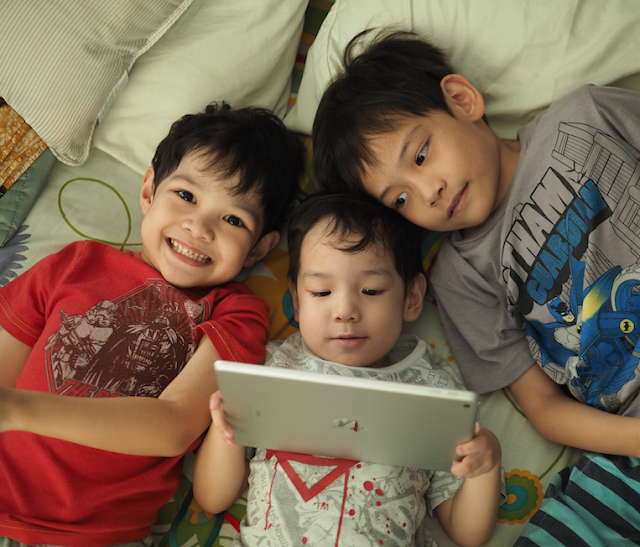 Here they are relaxing with the iPad that Netflix gave us last Christmas. Thanks, Netflix! Yes, we can stream Netflix through our iPad, too! One of my joys is that every single day last summer, the kids pound away on the keyboard. It's not always music to my ears, but every day they practice it becomes less noise and it's lovely seeing and hearing my sons enjoy playing music. 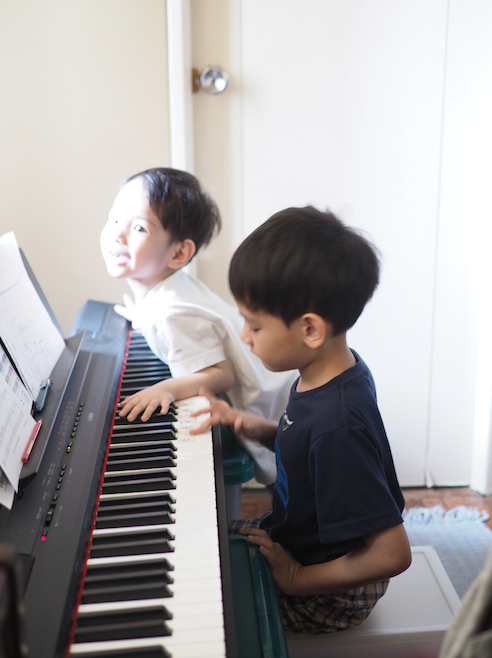 So whenever walang pasok, I urge them to play the piano again. 7. Play with their toys. 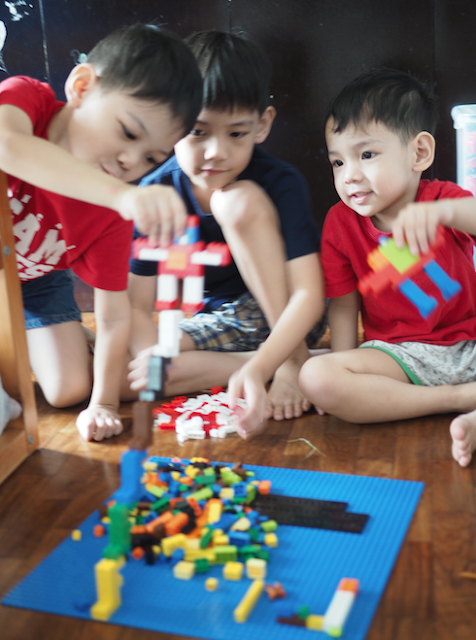 My kids play with our bunny Blue every day but they're especially makulit with her kapag walang pasok. 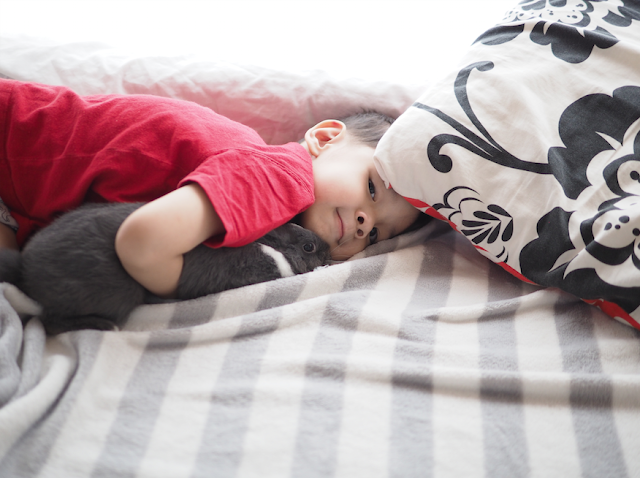 I seriously think Blue wishes there were classes every day because my sons are cariño brutal with her haha Just look at Piero making gigil sa rabbit! Okay, we don't do this all the time. If we're going to do messy experiments, magluluto na lang kami hehe. Buti na lang they have a father who is more enthusiastic about making a mess that they can't eat. 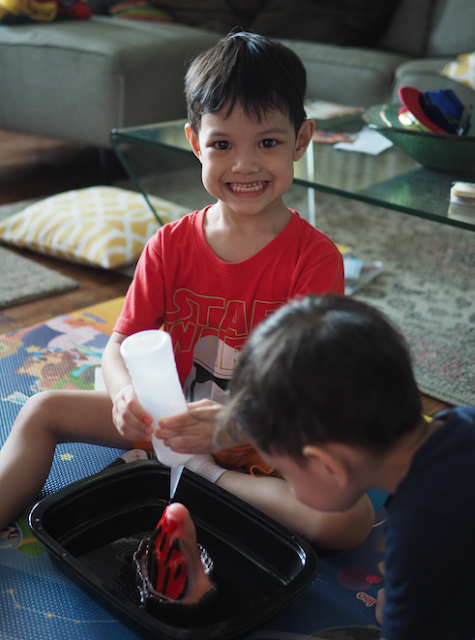 They've made slime, watched volcano eruptions, and recreated the water cycle. The boys love it! 10. Help with the chores. Last but not the least, and actually the most important for me, I ask them to help around the house. Help with the laundry, pack away their room, little things like that. Just look at Piero when he was a wee toddler cleaning up his mess! Okay, I didn't make him sweep the floor. 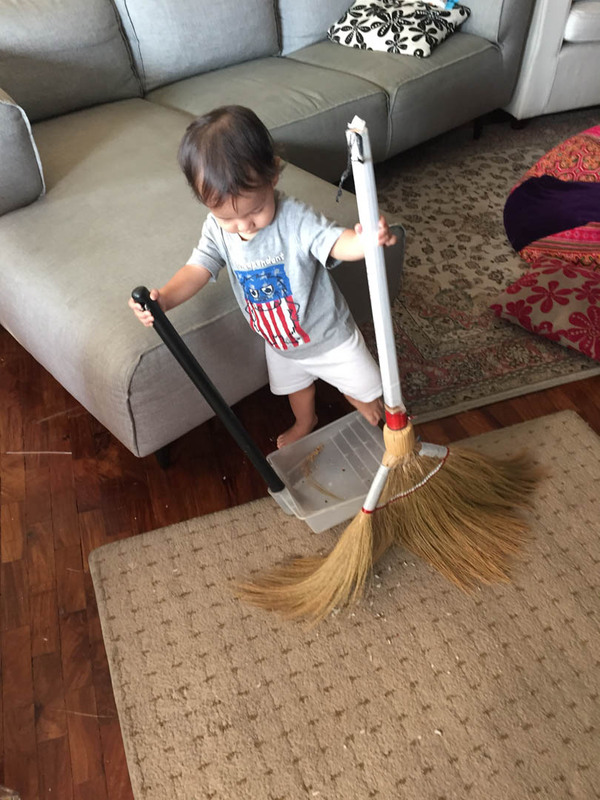 He volunteered to do this himself and actually made even a bigger mess! But you know what I mean about getting the kids to help out at home when they have no classes. So there you have it, mamas! I obviously love it when #WalangPasok happens! Of course, I can do these because I'm a work-at-home mom. I'd love to know what moms who work at an office have lined up for their kids on days classes are cancelled. Please share! I'm sure we can all help each other make the #WalangPasok days a great time for the kids. *Enjoy Netflix, too! Click here to see how to subscribe to the best streaming service of movies, TV shows, and documentaries. There's always something for you and your whole family to watch! Thank you for sharing your suggestions Ms.Frances. #WalangPasok is a time for the our family to bond over a bowl of hot sopas or champorado. I love to play pretend with my toddlers or watch movies with their brothers. #WalangPasok is an extra opportunity for me to bond with my five kids since I'm working away from home on normal days. This rainy ideas still applicable with adults, learning new skills like playing piano still on my bucket list, who said that only young ones can acquire new learning i think adults should never stop learning new things even busy with adult life. Polishing creative juices from ourselves still a must after all we oy live once, world and circumstances are mostly ruthless but we must savor every opportunities avaiable❤❤❤. Thanks for sharing mommy..wasnt able to read thks before na sunod sunod ang walang pasok usually exam days pa tlaga so best time talaga for studying, reading books and more. We loves eating on a rainy day haha so nagluluto lang kami at home tapos watch movie ung mga na DL na ni hubs for kids. Educational games too mommy ang naggawa namin like scrabble and chess too dahil minsan gusto din no eldest. We make use of those days na cancelled para di ma-sayang.